I'm just an average person who decided to start running back in March 2010. I was doing well... even ran a 12k in October 2010. Then I suffered an injury (Morton's Neuroma) & was down for the count for a few months. 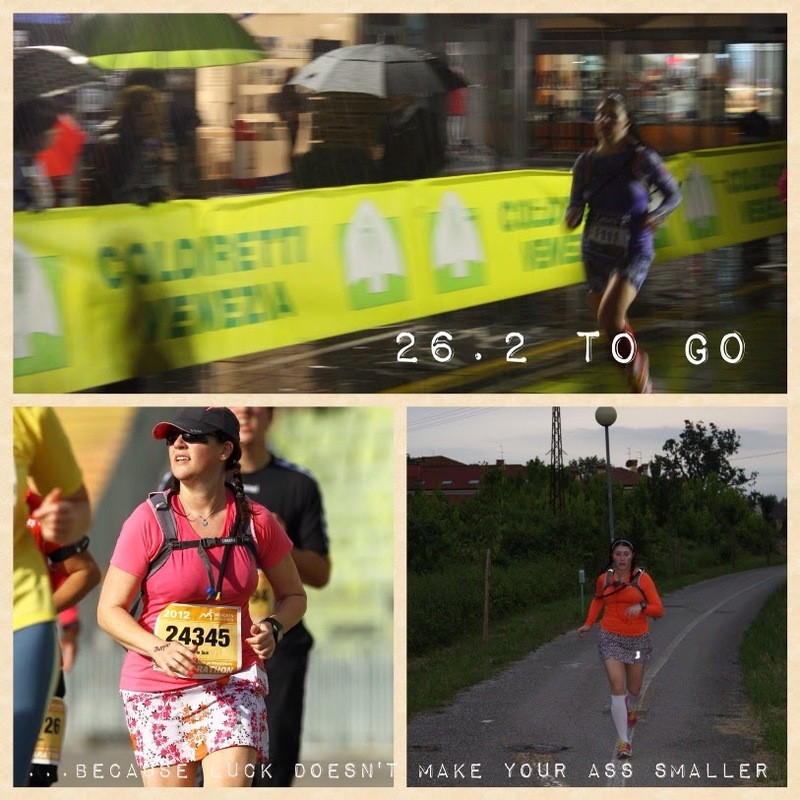 In 2011, I signed up for the 26th Venice Marathon. And naturally, fate conspired against me. One of my dogs was diagnosed with cancer & I got a small case of bronchitis... all in October, only 22 days before the race. I recovered enough to try it, but DNF'd at 16.45 miles & 3:23:33 hours into the race. I've had quite a bit of half marathon success. I chose to run 1/2 marathons instead because I felt I'd already accomplished that. It helped make that choice very easy for me. So I signed up for quite a few 1/2s, not really thinking that someday I'd go back to try the marathon distance. Then something changed. The Moonlight Half Marathon went so well, in spite of adverse conditions, that I decided it was time. Which is why I'm registered for the Disney World Marathon in January 2015. And since it was soooo expensive, I know I'll stay committed to the cause. But until then, I'm still chasing that elusive 26.2 miles.